We provide low student- teacher ratios to promote personal interaction with student and teacher. When your child comes to Kids of Excellence, they’ll receive not only a top-notch education, but also personalized love and care from teachers and staff. We maintain low student to teacher ratios to provide specialized academic, social, and emotional learning experiences for the children in our care. Our Executive Director, Kristi Givens, has served as a civic and community leader in early childhood care for 20 years and 90% of our teachers and staff hold an accredited certification in Child Development or higher. Kids of Excellence strongly believe in building partnerships and relationships within our community. We collaborate and invite local organizations to participate within our program, through volunteering, educational opportunities for our students, families, and staff, and/or co-sponsoring events for community members focusing on their interest and needs. Our play based curriculum provide a framework to facilitate child growth and development across developmental areas. 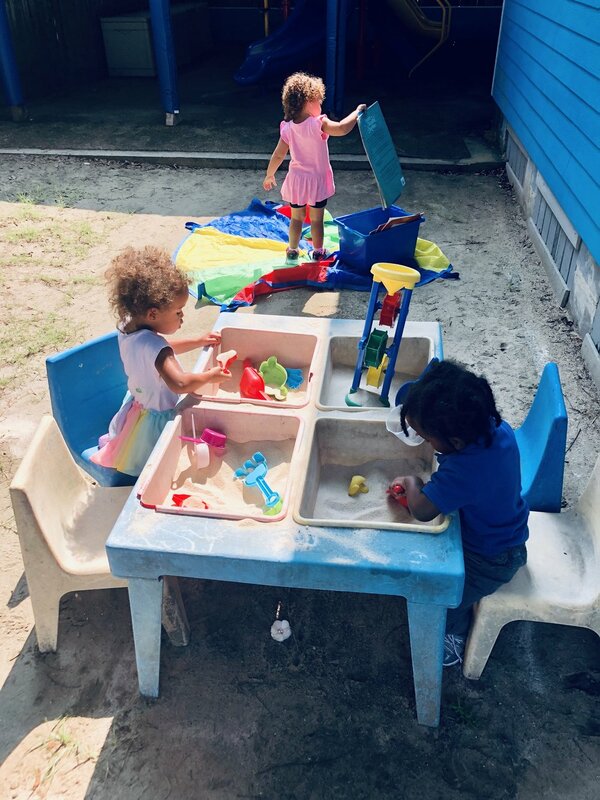 We provide a dynamic learn through play curriculum designed to foster the social, emotional, intellectual, and physical needs of the children we serve and prepare them to succeed in a diverse and changing world. Play is a good indicator of and contributes to every child’s cognitive and emotional growth. The child who plays well and enjoyable is likely to learn from play; learning derived from play is likely to influence intellectual growth. Our philosophy of learn through play education is grounded in the research of Lev Vygotsky, Howard Gardner, and Erik Erikson. We use their proven teaching methods to prepare today’s children to meet tomorrow’s challenges, striving to close the achievement gap for children in our community. We are committed to integration of art, music, stem, technology, and second languages. We incorporate daily art, music, stem learning, and a bi-lingual library. We enhance children’s development by communicating, respecting, and building positive relationships with families. We believe that families are the first and primary teachers of their children. We value partnerships with families to maximize the quality of children’s care and educational experiences. Kids of Excellence understand that families play an active part in the child’s care and education. 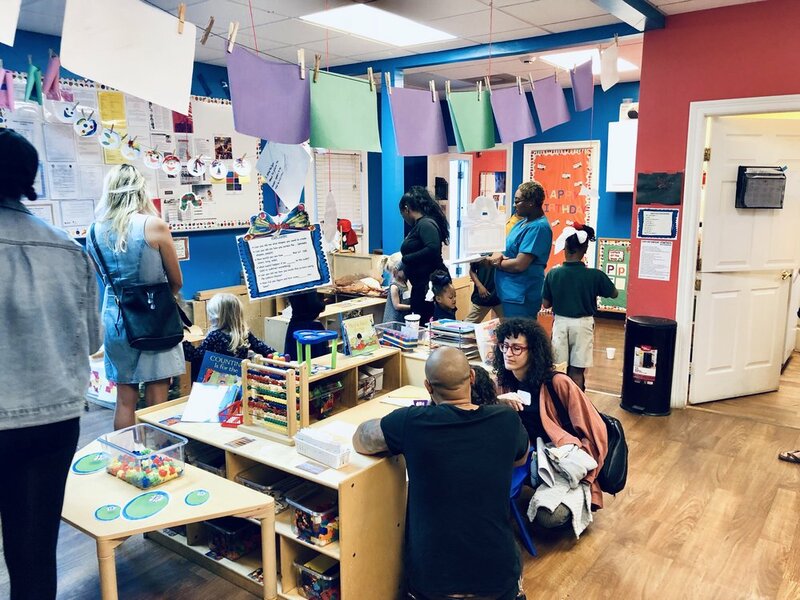 We offer an open door policy and invite parents to drop in at any time, participate in center activities, or volunteer in your child’s classroom. Together, families, teachers, and staff support the individuals needs of students. This partnerships allows Kids of Excellence to provide a fun, healthy, and diverse environment that fosters the holistic development of the children we serve.